US President Donald Trump was quick to tweet about the fire consuming parts of the Notre-Dame Cathedral in Paris on Monday afternoon. Trump suggested that "flying water tankers" could be used to put out the blaze, which a cathedral representative said started in the spire of the historic monument, which was under construction. "So horrible to watch the massive fire at Notre Dame Cathedral in Paris," Trump wrote. "Perhaps flying water tankers could be used to put it out. Must act quickly!" Visit BusinessInsider.co.za for more stories. US President Donald Trump was quick to tweet out about the fire consuming parts of the Notre-Dame Cathedral in Paris on Monday afternoon. It remains unclear how the building caught fire or how long the blaze has gone on for, but the Paris police confirmed in a tweet that emergency responders were on the scene and urged people to stay away from the area. 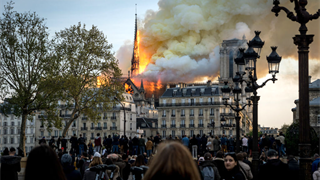 The New York Times spoke with a cathedral representative named André Finot, who said the fire started in the cathedral's spire, part of which collapsed on Monday. The cathedral is one of Paris' best-known monuments, dating back to the 12th century. 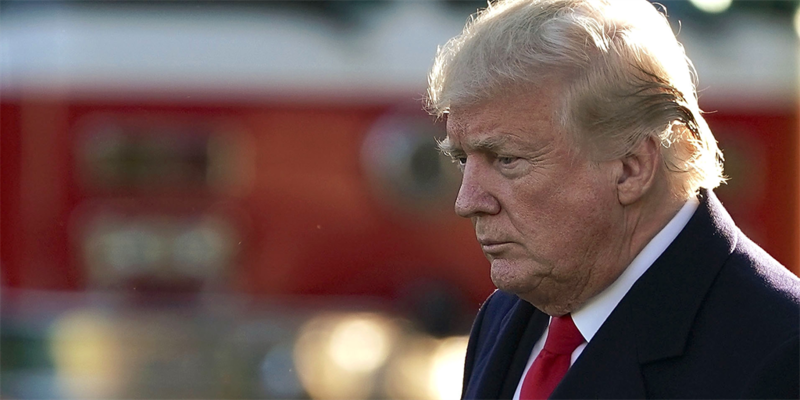 Trump later called the historic cathedral "one of the great treasures of the world" and said the fire is "something few people have witnessed," while talking to reporters on Monday afternoon. "It might be greater than almost any museum in the world," Trump said. "And it looks like it's burning to the ground." 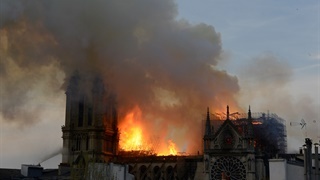 According to the Associated Press, France's civil security agency ruled out using water-dropping aircraft because dumping water on the cathedral would likely cause the whole building to collapse.